The Mercedes-Benz E-Class is a range of executive-size cars manufactured by Mercedes-Benz in various engine and body configurations. The E initially stood for Einspritzmotor, (German for fuel injection engine); a new feature in volume production vehicles at the time that the E-Class first appeared, with the E as a suffix to the engine nomenclature (e.g. 230E) in the 1950s. It was not until the launch of the facelifted W124 that the E was used as a prefix (i.e. E220) and the model referred to officially as the E-Class (or E-Klasse). At this time all Mercedes cars used fuel injection and the company felt it was not necessary to add this as a distinguishing feature. 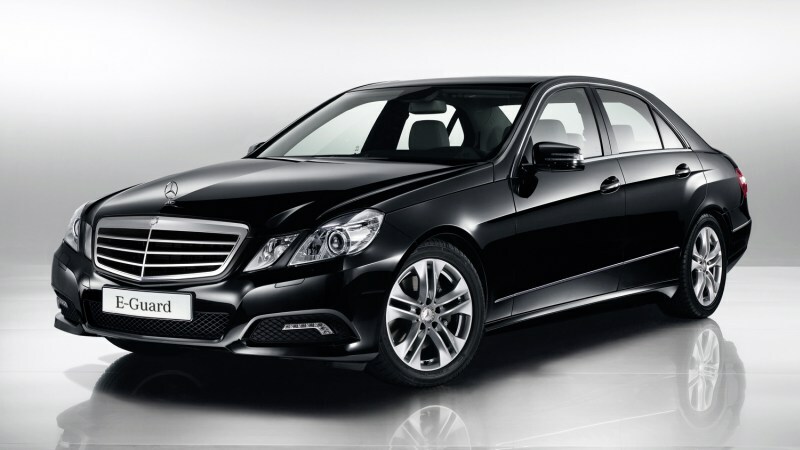 Due to the E-Class's size and durability, the cars also frequently serve as taxis in European countries. Older models like the W123 and W124 are used in Malaysia as inter-state taxis, and the W211 is used in Singapore as a taxi. Mercedes-Benz also offers special-purpose vehicles (e.g. police or ambulance modifications) from the factory.